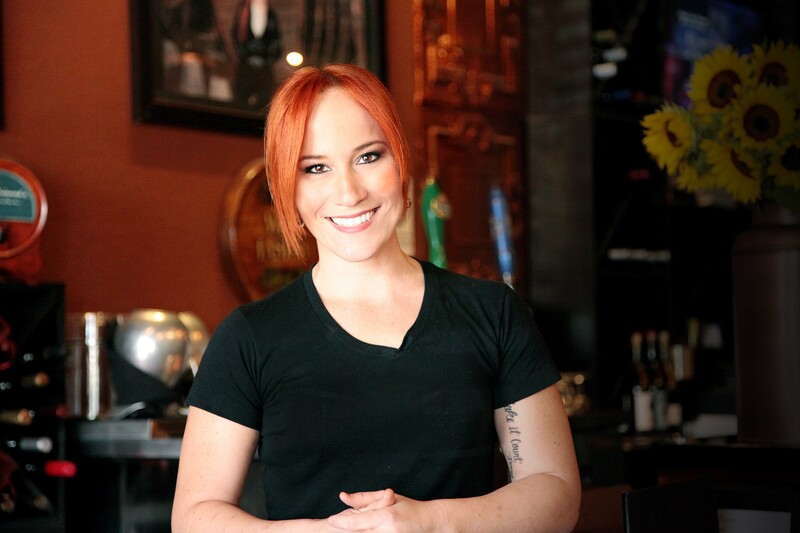 The #MondayMotivation edition of MRM’s Daily Bite has news from 800° Woodfired Kitchen, OpenTable, The Smashed Waffle Company, Chef Adrianne Calvo and Sylvan | Thirty. 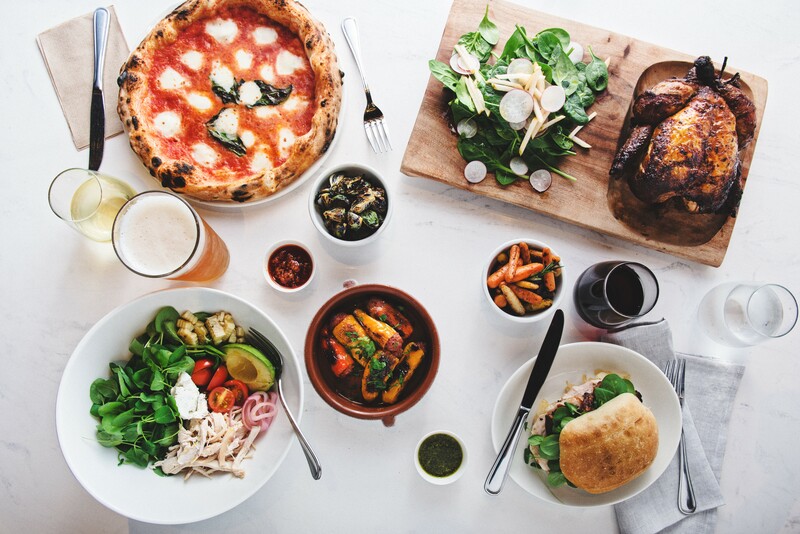 800 Degrees Pizzeria’s Downtown Los Angeles location has relaunched as 800° Woodfired Kitchen. With the addition of a woodfired rotisserie, the DTLA location now offers the updated menu and is outfitted with all updated branding and design. Several other legacy 800 Degrees Pizzeria locations will be retrofitted to incorporate woodfired rotisseries and the updated menu offerings, while some stores will continue to operate with the original pizza-focused concept. With ongoing expansion on the horizon for the brand, Miami, New York and several other key domestic and international markets will open as the new 800° Woodfired Kitchen. Chef Anthony Carron insisted on a “food first” approach when he co-founded 800 Degrees Pizzeria in 2012. 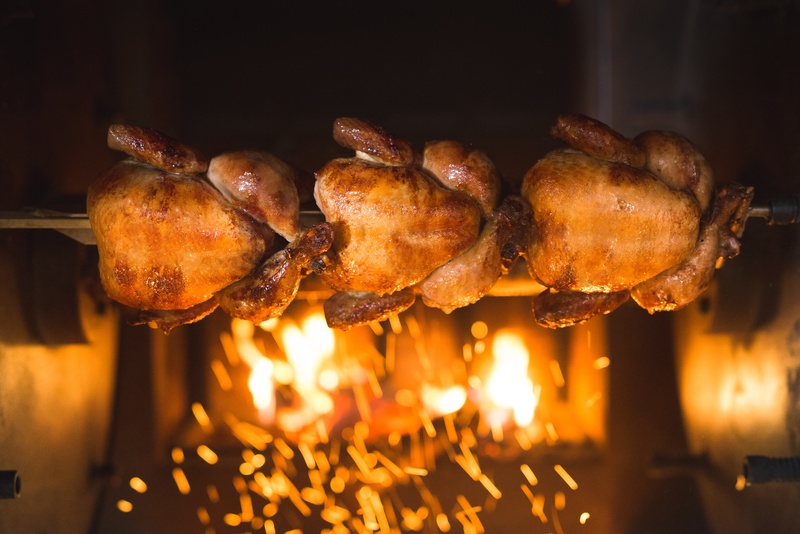 With the addition of the new woodfired rotisserie ovens to the mix at his fast-fine eateries, Carron and his team now offer guests a variety of options and choices. 800° Woodfired Kitchen uses real wood to cook and the superior flavors are delicious and unprecedented. The woodfired rotisseries and product offering will also expand beyond poultry to put a new spin on woodfired dishes such as the “Garlic & Rosemary Roasted Porchetta Sandwich,” the “Roast Beef Plate with Roasted Potatoes and Caramelized Brussels,” or the “Fresh Atlantic Roasted Salmon Salad.” Chef Carron will also be rounding out the menu with appetizers, desserts and even cocktails that showcase woodfired ingredients. 800° Woodfired Kitchen utilizes specially designed woodfired stone hearth pizza ovens and woodfired rotisseries that burn fragrant woods, imparting a unique, subtle, smoky taste to anything cooked within them. The company will source various hardwoods including Oak, Mesquite and fruitwood that burn extremely hot compared to other woods, allowing temperatures to reach 800 degrees Fahrenheit within pizza ovens so that each pie bakes in the traditional Neapolitan style, while woodfired rotisseries allow proteins to slowly cook and develop a rich caramelization. The Los Angeles-based fast-fine dining concept, has assembled an executive team of industry experts that are positioned and ready to shape the next chapter of the brand, leading the concept into the next phase of its growth and success. Key changes began in January 2017, when industry veteran Tommy Lee took the helm as CEO. The team rounded out with the appointment of Thomas Bartsch as CMO in November 2017. With the new executive team in place, 800 Degrees is now poised to expand operations through area-development agreements, international licensing, and corporate development. OpenTable extended its global footprint to Spain with its launch in Barcelona. At launch, more than 200 restaurants, celebrated by travelers and locals alike, are now bookable through the OpenTable site and global apps. Barcelona offers an array of dining experiences spanning cultural and culinary appetites. More than 43,000 restaurants are available on OpenTable across more than 20 countries and renowned global dining hotspots including: Amsterdam, Berlin, Dublin, London, Melbourne, New York, San Francisco, Sydney, Tokyo, and Toronto. The restaurants are available for reservations in Spanish, Dutch, English, French, German, Italian and Japanese. 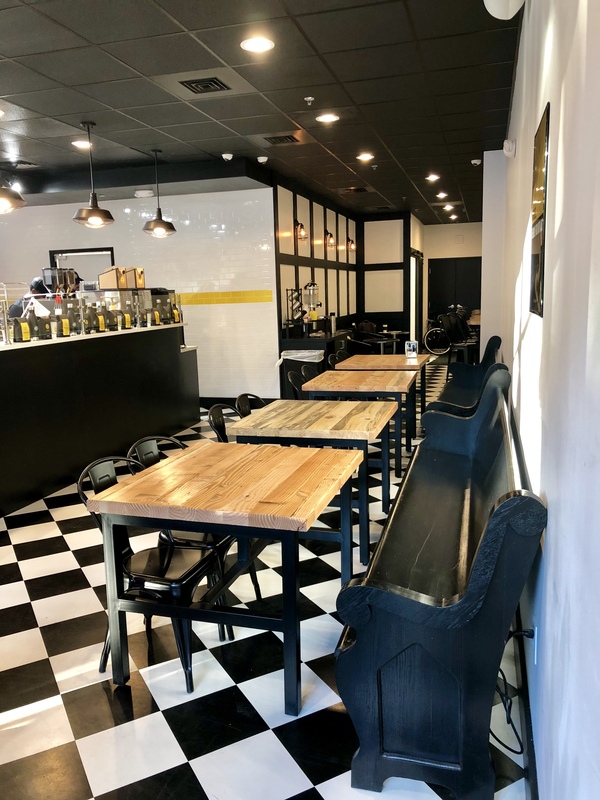 Greenville, North Carolina-based The Smashed Waffle Company opened its second Smashed Waffle Cafe and first in the Triangle at 2304 Hillsborough Street, Raleigh. Founded in 2016 as a waffle delivery service, The Smashed Waffle Company caught national attention and delivered over 100,000 waffles in a few short months. 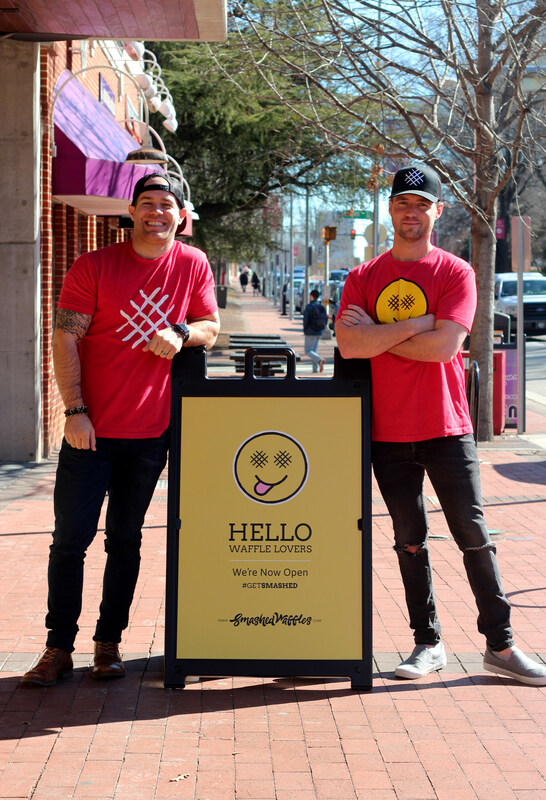 In November of 2017, co-founders, Hunter Harrison and Justin Cox, opened their first Smashed Waffle Cafe in Greenville. 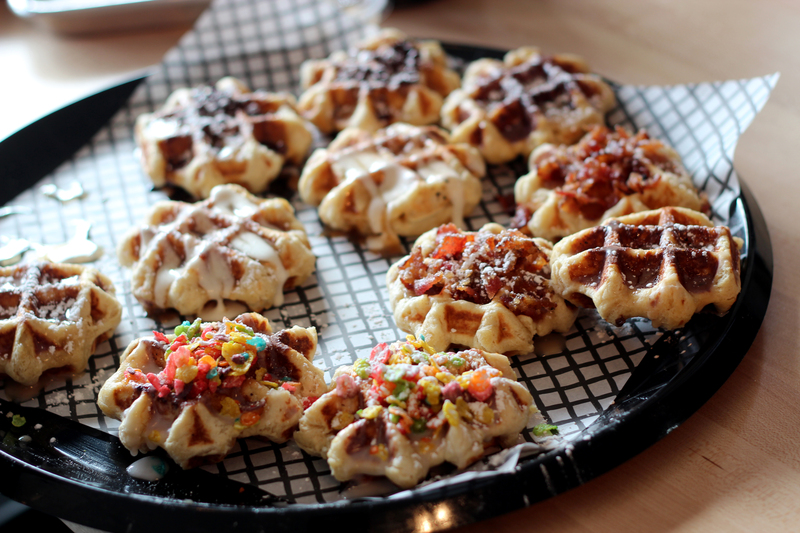 Moving into a cafe has allowed The Smashed Waffle Company to broaden their offerings. “We expanded our menu to include not only the sweet waffle versions that people had grown to love, but also savory waffle sandwiches like Smashedwiches™ as well as ice cream Smashedwiches™,” co-founder Justin Cox said. Smashed Waffles Co-Founders Justin Cox (Left) and Hunter Harrison. This expansion keeps The Smashed Waffle Company true to their vision of showing the world that the waffle is not only an amazing breakfast item, but showcases that Waffles are the new bread to be enjoyed all day long, the founders pointed out. To ensure a quality product, and to prevent the waffle from getting soggy, Smashed Waffles use a scratch made dough base, vs. a traditional batter. The dough is then smashed into heavy-duty cast iron waffle “smashers.” The result is a crisp outer shell, and a soft, airy center that pairs perfectly with sweet and savory items. The cafe will also serve premium roast coffees, NITRO cold brewed – kegged coffee, and freshly crafted, unique espresso-based lattes. “We spent months researching to find the right beans to deliver a rich, yet smooth flavor that complements our waffles, and I think we accomplished that,” Cox said. “Our mission is to serve insanely delicious products, so we experimented with different flavor combinations, such as lattés topped with candied bacon, pecans, and cookies,” Harrison said. Chef Adrianne Calvo, who has delivered a five-star dining experience in South Florida for more than ten years, launched her new concept dining experience, Cracked. It opened for brunch this weekend, at The Wharf in Miami. Chef Adrianne offers a collection of egg-based dishes for anyone looking for delicious meals made with classic ingredients. The eggs are organic and cage-free, coming from the locally-owned company Farms to Chefs. Additionally, all of the components in the baked goods come from Zak the Baker. Chef Adrianne’s latest creation also aims to give back, with 10 percent of the proceeds going to the No More Tears Foundation, a company dedicated to helping victims of human trafficking and domestic violence. As Executive Chef and Owner of Chef Adrianne’s Vineyard Restaurant and Wine Bar, author, and television personality, Calvo has four cookbooks under her belt: Maximum Flavor (2005), Chef Adrianne: Driven by Flavor, Fueled by Fire (2008), #MaximumFlavorSocial (2014) and Play with Fire (2015),with a fifth book, The A-List, currently in production. More international cuisine is coming to Sylvan | Thirty: Bánh Mì Station, a fast-casual restaurant specializing in the iconic Vietnamese sandwiches, signed a lease to open its restaurant on the south side of the Sylvan | Thirty development facing Sylvan Avenue later this year. Construction on the restaurant, which will accommodate nearly 50 people both inside and outside on the enclosed arched trellis patio, is expected to start in April. 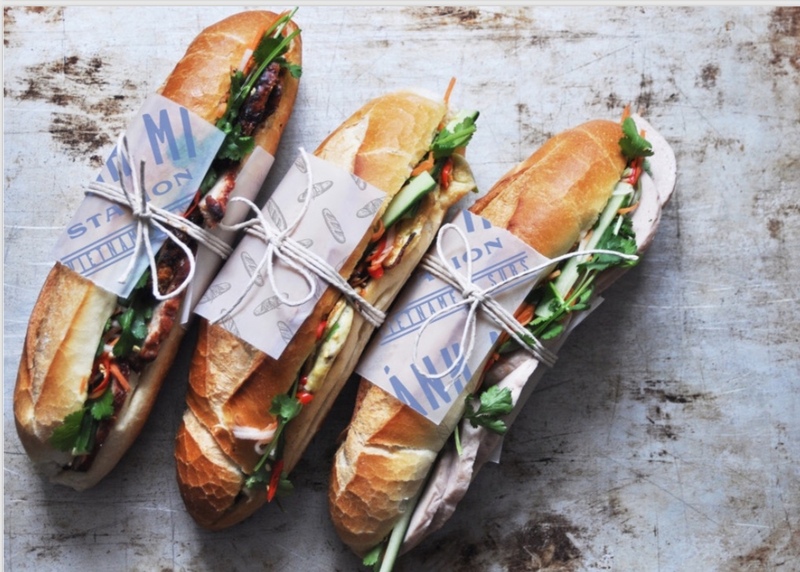 “We expect Bánh Mì Station will become an immediate hit with the Sylvan | Thirty crowd that love to explore food from around the globe,” said Bánh Mì Station owner Kevin Vivorakij. Design firm Coeval has been tapped to create Bánh Mì Station’s 1,440-square foot interior, which will embrace a French and industrial style that conveys the nostalgic feel of a train station. As customers walk in, they will be directed to place an order at the counter, either through a cashier or a self-order kiosk. There will also be a designated pick-up area where customers can watch their meals being created through a large window that peeks into the kitchen. “With the world getting smaller, we are seeing an exciting increase of beautiful international cuisines in America, one of which is Vietnamese food and its Bánh Mì sandwich, making Bánh Mì Station a natural fit for Sylvan | Thirty’s dynamic food scene,” said Brent Jackson, President of Oaxaca Interests and developer of Sylvan | Thirty. Customers of the restaurant will have several fusion food options to choose from, but the main star of the event will be the bánh mì. The Vietnamese sandwich, which typically features braised five spice pork belly, pickled carrot and daikon, jalapeno, cilantro, cucumbers with deliciously handcrafted sauces, is served on a fresh, toasted baguette. Each sandwich is customizable with protein offerings such as braised duck, five spice brisket, lemongrass grilled chicken, ginger turkey meatballs, smoked pulled pork and braised tofu. For lighter fare, Bánh Mì Station will offer bao, a steamed bun that’s topped with meat and vegetables. The menu will also feature a selection of sides, including Thai curry mac and cheese, papaya salad and pulled pork Kimchi fries.